It’s incredibly rare that on the day of your birthday you get the most life-changing present you could have ever wished for – even without the perfect bow. But for Ashley, it was Jim. After four and a half years of love and happiness, on August 1st, 2015, just atop one of their favorite hiking trails, Jim got down on one knee with a beautiful ring to promise Ashley many more years of happiness together. They decided that their incredible journey would begin by the golden sands of Los Cabos, Mexico. I met Jim and Ashley just shy of a year before their big day, and both had the most wonderfully charming and lovely personalities. I was also fortunate to meet both their parents, whom I now call my friends, which made every moment that much more special to me. 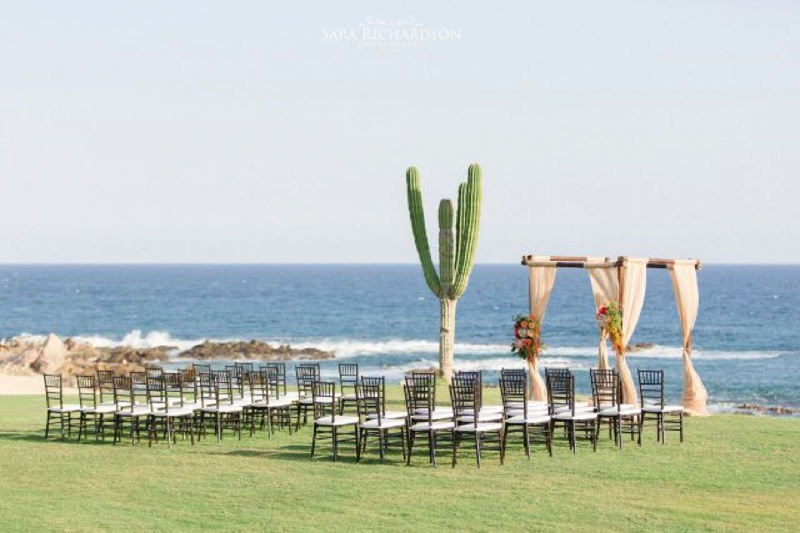 Ashley and Jim’s love for traveling sparked our inspiration to incorporate traditional Mexican elements, and that elegant Hacienda feel to complement their wedding venue: Cabo del Sol. 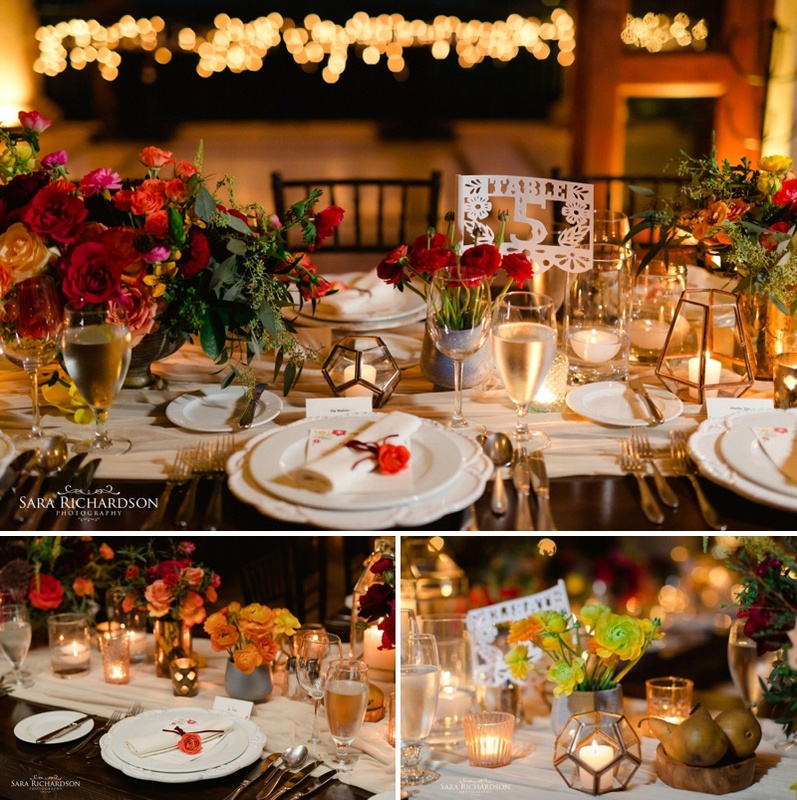 Wedding celebrations started with a rehearsal dinner at Tres Gallos meadows, that housed an imperial table blanketed with colorful flowers. The relaxed and cozy civil ceremony aired to match with delicious Mexican cuisine and celebratory refreshments for the guests of the bride and groom-to-be, giving them a hint of the next day. After the beautiful ceremony, everyone sat together at a log T-shaped table. True to our subtle use of Mexican elements, after the beautiful first dance, the bride and groom surprised their guests with a star piñata, a suspended decorated figure containing candy. Both were able to break it, and lots of Mexican candy spilled out. The view of breaking the piñata and everyone gathering around it is one of my favorite memories of the day, as I could see everyone with a big smile on their faces – just as happy as the bride and groom. I wish those smiles will be forever, as they hold a special place in my heart.